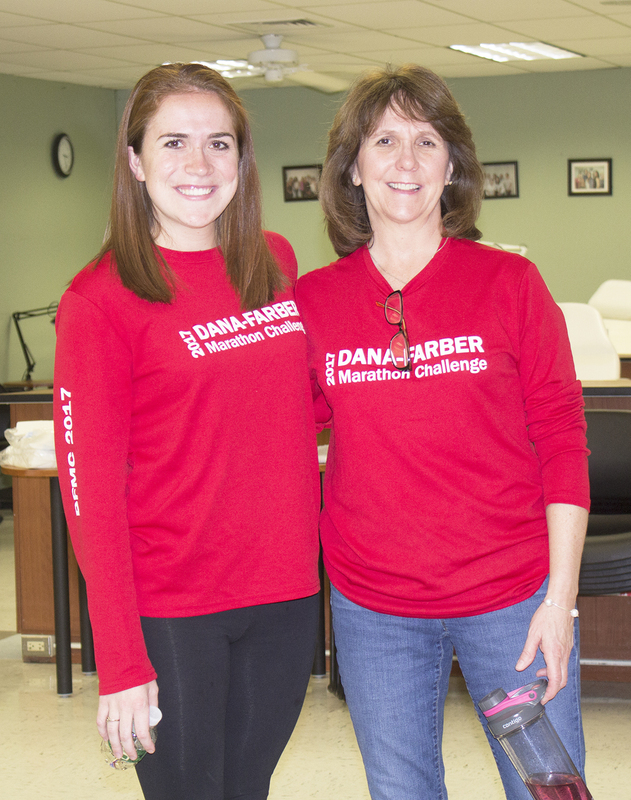 The Tri-County Regional Vocational Technical High School Cosmetology Program raised $1,800 for 4 Franklin runners who participated in the Dana-Farber Marathon Challenge 2017. 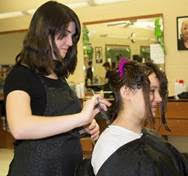 The third annual Cut-A-Thon and Style-A-Thon was held on Thursday, April 13. Students in the high school and postsecondary Cosmetology programs along with alumni raised funds to support local Franklin runners Bonnie Cameron in her first Boston Marathon; Bonnie’s daughters, Katie and Kerry Cameron, and cousin, Micaela Cameron, all who ran on Team Dana-Farber in the Boston Marathon. The event began immediately after school, with dozens of students visiting the salon to show their support. Faculty members and members of the community visited the salon throughout the afternoon to have their hair cut or styled in exchange for a $10 donation for adults and a $5 donation for students. In addition to having their hair cut or styled, attendees purchased raffle tickets for the chance to win generously donated gift baskets. Two of the gift baskets contained Paul Mitchell hair care products from HairLines in Shrewsbury. Other gift baskets were from Summer Scoops in Plainville and Hair Mania in Franklin. The team of 4 women raised over $24,000.00 overall. All proceeds will go to the Claudia Adams Barr Program in Innovative Cancer Research at the Dana-Farber Cancer Institute. Tri-County RVTHS, located at 147 Pond Street in Franklin, is a recipient of the High Schools That Work Gold Achievement Award and serves the communities of Franklin, Medfield, Medway, Millis, Norfolk, North Attleborough, Plainville, Seekonk, Sherborn, Walpole, and Wrentham.